The success of President Barack Obama’s health care plan depends on signing up millions of uninsured Americans, and Matt Saniie knows how to find them. Fresh out of the Obama re-election campaign “Data Cave,” the 31-year-old math whiz has gone from tracking likely voters in battleground states to honing a statistical model that can predict with 99 percent accuracy whether someone has insurance. Obama and his backers, facing a Republican move to disrupt the start of the insurance marketplaces that are at the core of the law, are adapting the techniques of his election wins. That includes cutting-edge data analysis, a heavy investment in personal canvassing and social media — and a bet that they can generate enthusiasm among young Americans. Instead of the 270 electoral votes needed to win the presidency, this campaign is an all-out effort to get to 2.7 million — the number of healthy 18- to 34-year-olds that White House officials say they need to sign up when open enrollment begins on Oct. 1. Since the law bars insurance companies from charging people with pre-existing conditions more for coverage, the plans need enough healthy participants to prevent sick people from swamping the system and sending rates soaring. The Congressional Budget Office estimates that 7 million Americans will initially participate in the exchanges. Working against the signup drive is the partisan clash over the law that has dragged on for three years since Congress passed the Affordable Care Act, which was intended to expand coverage to at least 30 million uninsured Americans. Republican-run legislatures and governors in at least 21 states have refused funding to expand Medicaid coverage for the poor and 27 have declined to set up the insurance exchanges, leaving that job to the federal government, according to the Kaiser Family Foundation. House Republicans have voted 40 times to repeal or defund all or parts of the law and have denied additional money to start the marketplaces. Senate Minority Leader Mitch McConnell of Kentucky and Senator John Cornyn of Texas, both Republicans, scuttled White House efforts to enlist professional sports leagues to publicize the program, with letters warning of a political backlash. FreedomWorks, a group tied to the Tea Party, is campaigning to discourage young people from getting insurance through the health plan, with rallies to burn “Obamacare draft cards,” evoking 1960s’ campus protests against the Vietnam War. Already, the administration has delayed for a year a mandate that large businesses provide insurance to employees. Costs for the health-insurance exchanges swelled to $4.4 billion for fiscal years 2012 and 2013 combined and will reach $5.7 billion in 2014, more than double initial projections. Another obstacle: 43 percent of Americans hold an unfavorable view of the law compared with 35 percent with a favorable view, a Kaiser foundation poll in June showed. The White House says it isn’t concerned about the impact of those obstacles on the young adults it’s courting. “That age cohort is not paying attention to anything the Republican National Committee is saying or the Democratic National Committee is saying,” said David Simas, an Obama adviser and former director of opinion research for the president’s re-election who now works on the health-care marketing effort from a basement office in the White House. 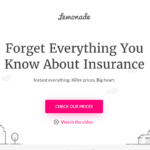 The model that Saniie developed, which scores the probability that anyone is covered by insurance on a 0 to 100 percent scale, helps Planned Parenthood and other groups promoting the insurance marketplaces target their efforts. Saniie, the son of an Iranian immigrant professor of electrical engineering, has a resume with Obama that stretches back to the Iowa caucuses five years ago. After he was engaged last year — to a fellow Obama campaign worker — the president stopped by his desk in the room that the campaign dubbed the Data Cave and offered congratulations. Now working out of a windowless office in Washington, Saniie, with a few days stubble on his face, was outfitted on a recent day in jeans and shirtsleeves rolled up to his elbows, leading a team of eight data analysts for Enroll America, an independent advocacy group pushing the health plan. He spent four months refining the statistical model, based on 32 pieces of information, culled from consumer data bases, ranging from income level to military status and voting record in midterm elections. Veterans and midterm voters are both more likely to have health coverage. The model’s first test on the ground came in a weeklong campaign in June involving telephone and face-to-face conversations with several thousand households, he said. “It predicted within a percent of what we expected,” Saniie said. Enroll America already has deployed 80 salaried field organizers to 10 states to begin campaigns on insurance signup. Enroll America will use the statistical model, combined with polls and results from its contacts with people, to customize its pitches, Filipic said. The Obama campaign used the technique to great effect in mobilizing voters in the battleground states for the re-election, winning eight of the nine contested states. The linchpin of the strategy is a calculation that the cost of health insurance is what discourages young people from buying coverage, not the belief that they don’t need it. The view that young people choose to forgo coverage because they can do without it is so widespread that U.S. Supreme Court Justice Antonin Scalia defended it as a rational choice during court arguments on the law, which the court upheld last year. Simas disagrees, citing a 2011 poll by the research group Demos finding that among those younger than 35 only 1 in 10 uninsured women and 2 in 10 uninsured men believe they don’t need health coverage. The rest respond with a reason related to cost. Polling for Enroll America last year found the portion of uninsured Americans who said they considered the health-care plan premiums “affordable” rose to 41 percent from 25 percent when told how much of a discount on the regular price they received from the tax subsidies. The law offers subsidies to lower the insurance cost for people making up to four times the federal poverty level. Based on 2013 data, that means a discount on ordinary insurance rates for individuals with incomes up to $45,960. A single, 25-year- old nonsmoker who makes $20,000 a year can enroll in a basic insurance plan for less than $42 per month because of a $2,009 annual subsidy, according to Kaiser. California and New York are among the states that have made the most progress in setting up their exchanges, having already announced insurance premiums. The focus on the young is shaping the marketing. One group, the Young Invincibles, is testing a smartphone application that assists with enrollment. It’s planning signup campaigns at community colleges, where students are less likely to be covered by parents’ insurance than at four-year schools. Another group, MomsRising, responding to research indicating mothers are especially influential on young adults’ health-care decisions, is recruiting a “Wellness Wonder Team” of mothers to promote the insurance plan among peers. The White House, hoping for catchy web videos and Internet posts, hosted celebrities such as television star Amy Poehler and production executives from the comedy website “Funny or Die” to discuss ways to reach young adults. Planned Parenthood, which sees almost 3 million patients a year, is training staff to expand enrollment. It’s also gearing up for a door-to-door campaign to reach 1 million people between 18 and 44, said Rachel Fleischer, a spokeswoman. For Simas, the key is that in most states, less than one- third of uninsured young people need to sign up for the government to meet its first-year goals. At the same time, the health plan’s subsidies disproportionately benefit younger adults since they are just beginning their work lives and generally have lower earnings, he added. “If you get at this — which is why the subsidies are so important — you crack the code,” he said. Time will tell. May as well take advantage of the massive amount of money spent already advertising this..